Taken these photos when I was at Bangkok last Saturday and Sunday for OGT Trade To Win course. It was a fantastic course with the new students. All eager to succeed. I am so grateful to my students for giving such a comment on OGT methodology and me. Only methods that are systemized and simple enough will work in the long run for successful trading to happen. 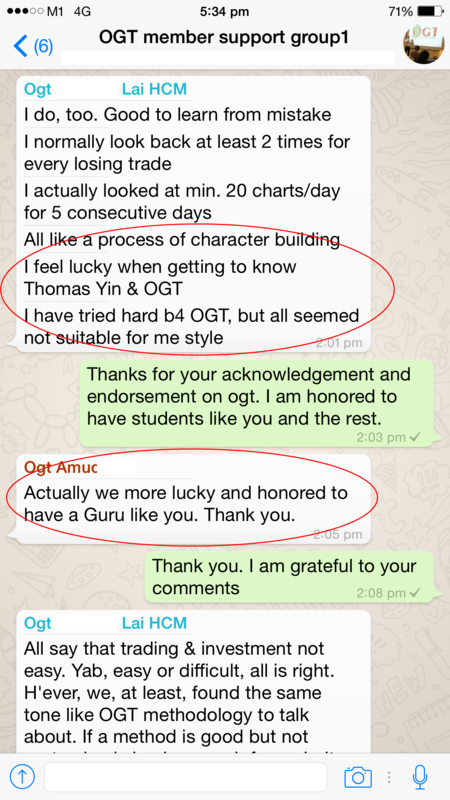 I know all along OGT methodology is one of them but hearing from them is gratifying. 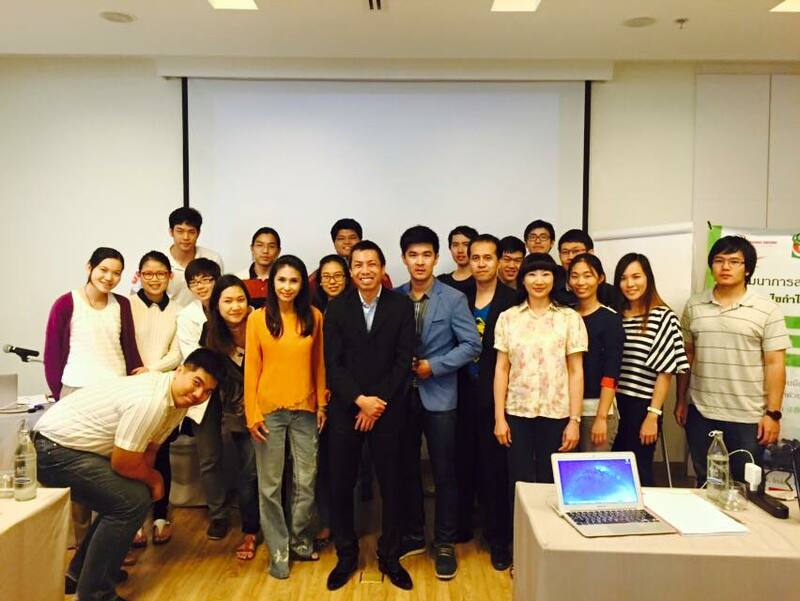 Thank you for your comments, students from Vietnam and Singapore. You know who you are. Both of you made my day. 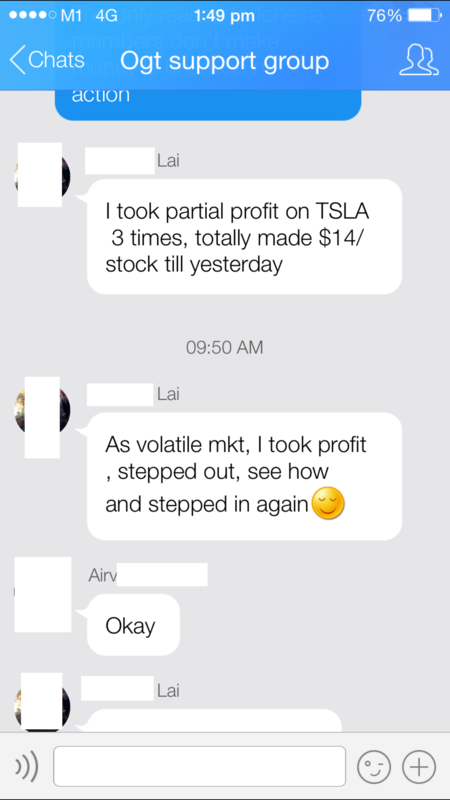 This is a follow up on yesterday’s post on TSLA. 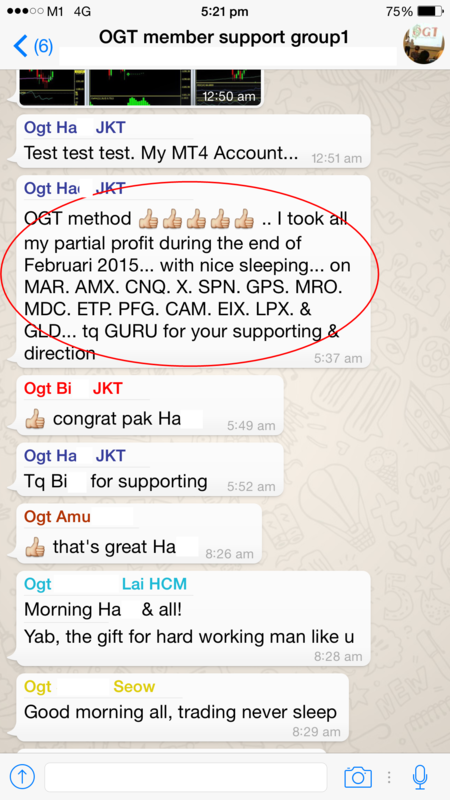 OGT students made profit from that trade but if you are more actively looking at the markets, you can make more. This shows and proves that once you master the 3 pillars to successful trading which is psychology, method and money management, and you put in the time and effort, you will make more than the rest. 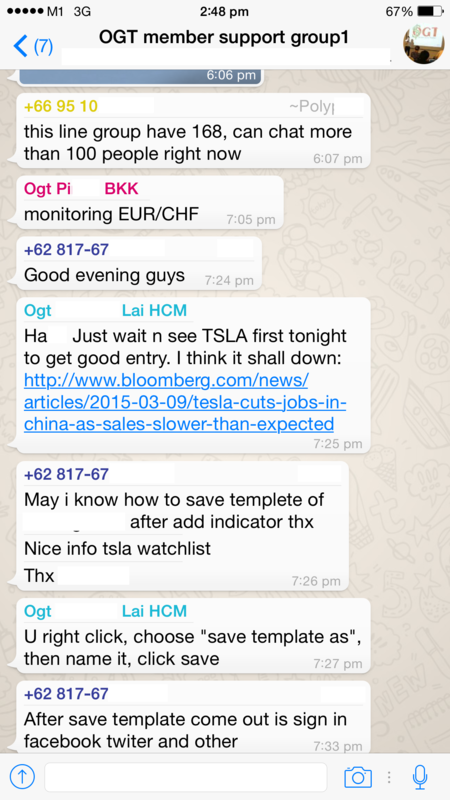 Kudos to my student from Ho Chi Minh Vietnam for putting the time and effort to make the money. Students discussed this counter since last Friday. We entered last night. 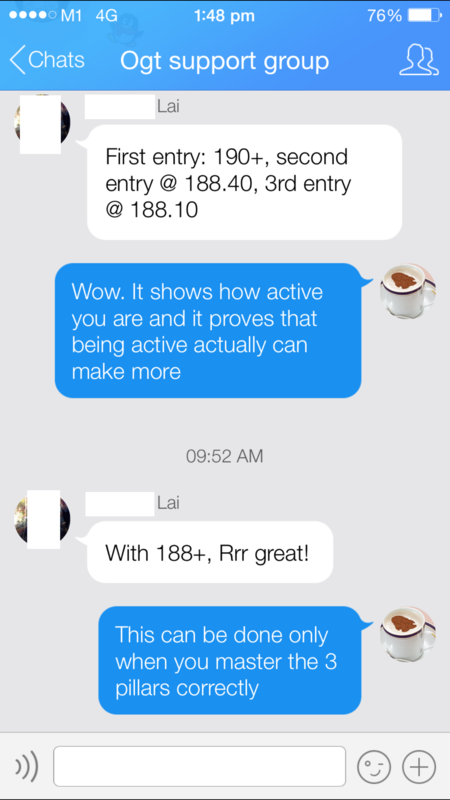 We got a entry around $188.00. Stop loss at $184.99. Most are in profit now. And all of us already took some partial profits on the same night at around $193.00. Even if TSLA hit our stop loss tonight, we just breakeven or make some small gains. This is the way to trade. No stress. Lock in some profits and leave the rest to go for more profits. Aiming for target around $220.00 now. Back to Indonesia Jakarta for Trade To Win 2 day course. Good to see new students and old students attending at the same time. Coaching them was lots of fun and laughter. Really enjoyed my time there. 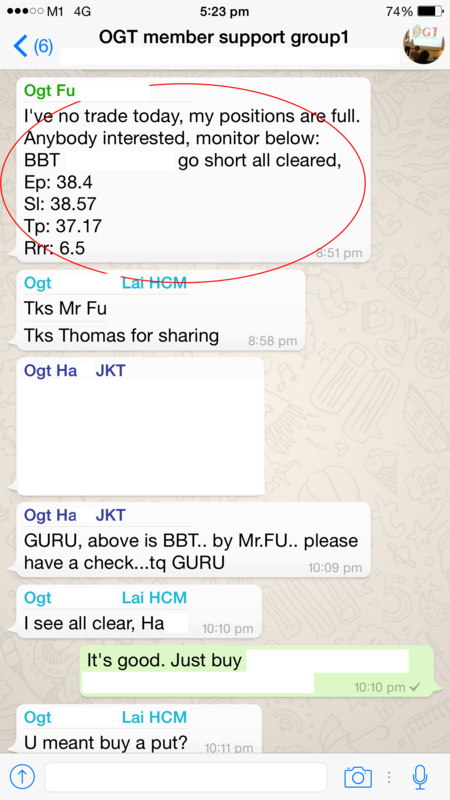 One of my students who has already learnt OGT methodology gave this trade in our smartphone chat group on 27 Feb 2015. Risk to reward was 6.5 and it’s 650%. Most of us made at least 300 to 400% from this trade. Check out screenshot below. 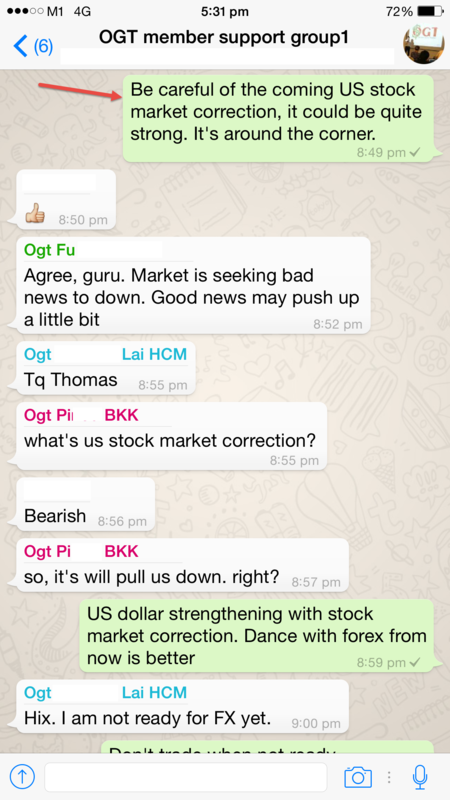 I shared the US market was going into correction more than a week ago with my members through smartphone what’s app messages. Below is the screenshot of the chat I send to them. 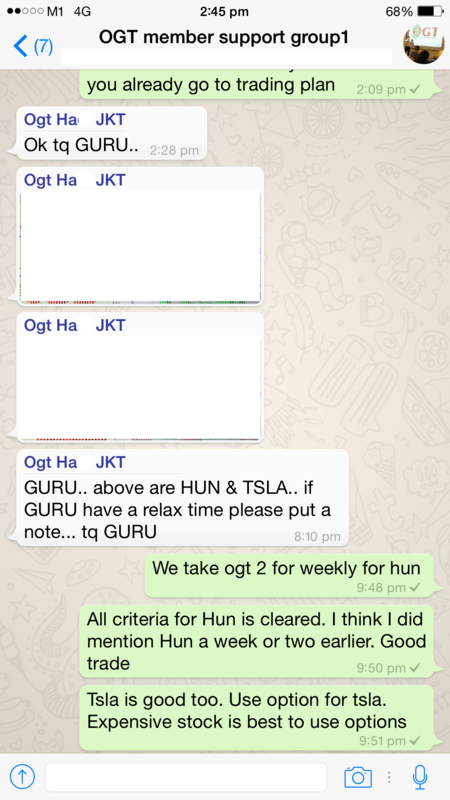 Very happy for my student from Jakarta for getting so much profits from so many trades using OGT methodlogy. 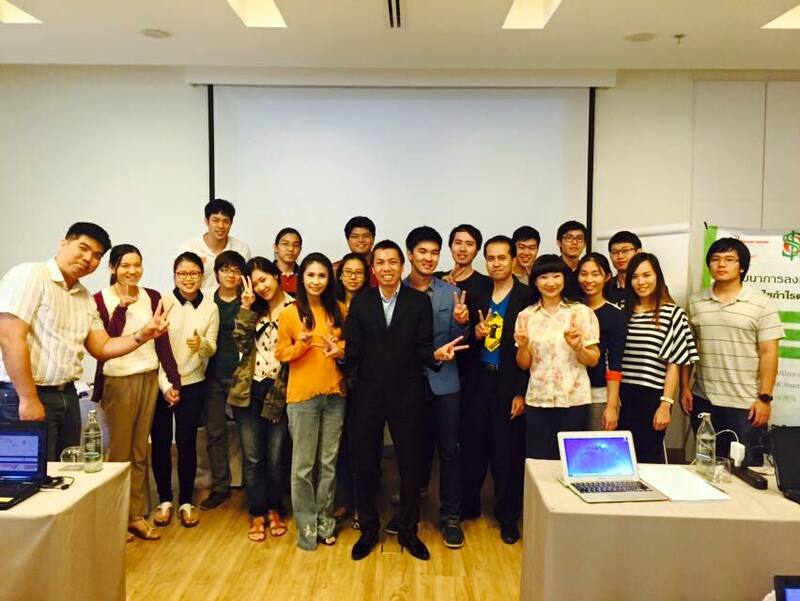 Since he attended OGT Trade To Win course in January, he has put in lots of effort and time into mastering OGT methodology. He deserve it since every single day he allocated time and put in effort to find trades and mastering OGT methodology. I am honored and grateful to have been able to share OGT methodology with him. 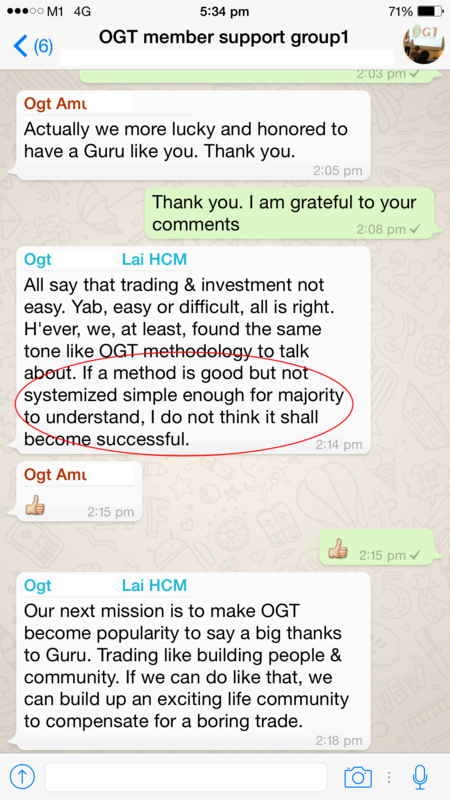 It really warms my heart to see members trade and make money consistently from using OGT methodology. Back to Singapore to host Trade To Win course. 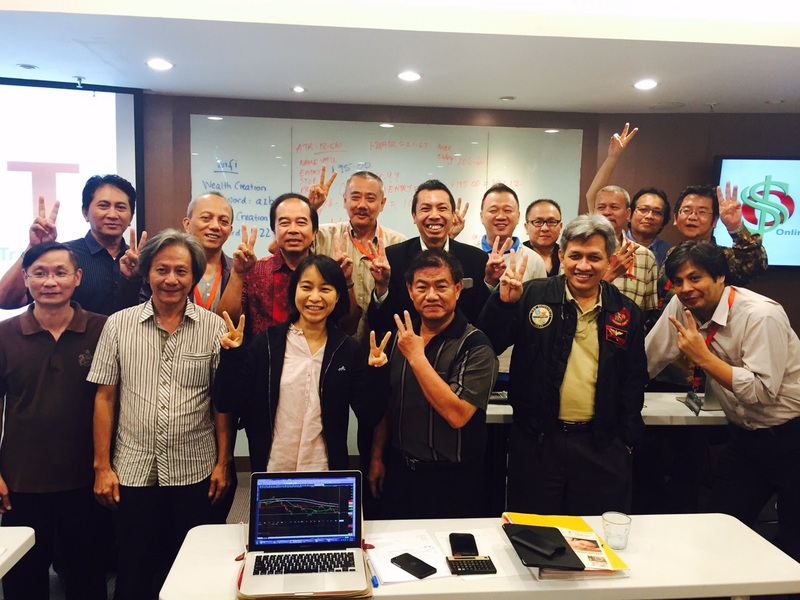 Good to see even some of my past batches re-attending for refresher and psychology enhancement in trading. Please click on the photos to enlarge for better viewing.